Please note: All S.T.A.R puppy classes must be paid for in advance to hold a spot. There is a limit of 6 dogs in the class. We will keep a waiting list. An AKC S.T.A.R. puppy assessment will be given at the end each 6 week session to those who meet the requirements from the AKC. Please note: All Basic Obedience classes must be paid for in advance to hold a spot. There is a limit of 6 dogs in a class. We will keep a waiting list. 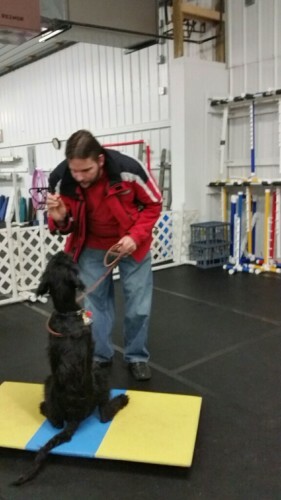 AKC Canine Good Citizen evaluation skills are introduced. Agility classes for the beginner to those dogs who are just starting out in agility to those who are just starting to show. This class is tailored to the dogs in the class. We work on what they need and have not been successful at and new skills to use in trials. Dogs must have a good recall and be able to sit and down. Also, they good around other dogs. Agility classes for those dogs who are currently showing. This class is tailored to the dogs in the class. We work on what they need and have not been successful at and new skills to use in trials. Dogs must be familiar with the obstacles (not doing weaves is okay) and good around other dogs. Beginning foundation skills will be the focus of this class. 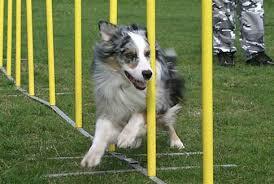 Dogs will be introduced to the agility equipment and handlers will learn basic maneuvering skills. Focus of this class will be running sequences and courses in preparation of running trials. The focus of this class is running sequences and courses in preparation of running trials. Also refining skills if a student is already running agility. 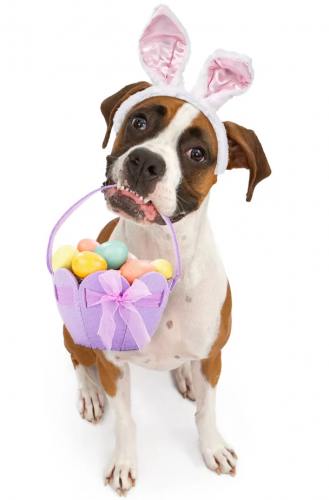 Save the date: Annual Easter Egg Hunt Sunday, April 14th!! 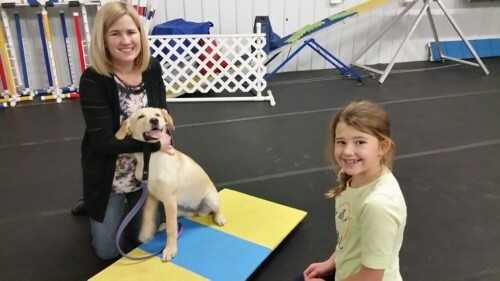 Puppies/young dogs will be introduced to body awareness, basic heeling, sits, down, stays and introduction to various skills needed to build the foundation for competing in Obedience. Christy and her current competitive dog, Beau-D, have consistently been in the top obedience rankings, competing in the 2015, 2016, 2017, 2018 AKC National Obedience Championships. Christy placed 10th at the AKC National Obedience Championship (March 2015) and 11th at the 2016 NOC. 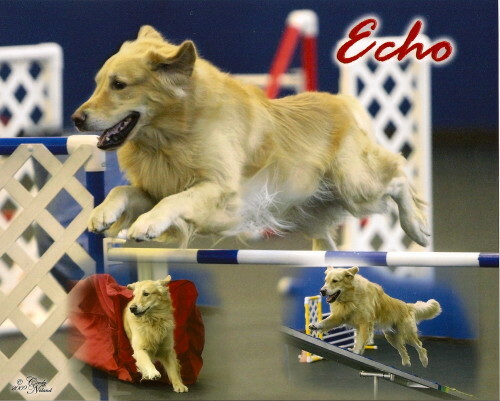 She has three OTCH/UDX dogs and multiple High In Trial/High Combined and currently has earned 4 perfect 200 scores. 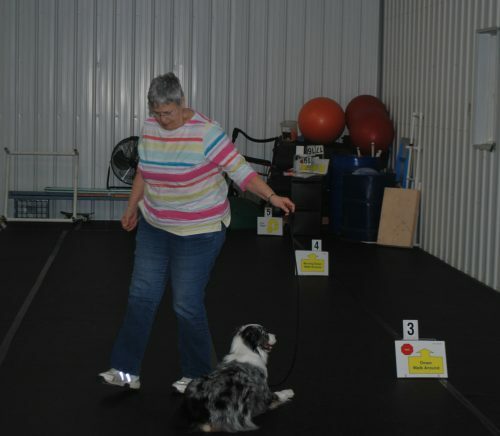 She can help you through training issues and help polish you and your dog for the obedience ring. No aggressive dog issues please-these will be referred. Karen has extensive experience in assisting pet puppy issues. Please note : there are no adjustments for classes missed.